Members of the UNC System Board of Governors have agreed to an extension of the March 15 deadline for a decision on the disposition of UNC’s Confederate monument. UNC trustees and administrators who serve on a special committee on the issue with Board of Governors members were told the group will have until the board’s May 20-22 meetings to finish their work. Protesters pulled the Silent Sam statue off its pedestal in August. In mid-December, citing financial and security concerns, the BOG rejected the University’s proposal to place the monument in what would have been a new building on South Campus at a cost of $5.3 million. The board directed UNC’s trustees, the chancellor and top administrative staff to work with a BOG task force to find another solution by March 15. Then-Chancellor Carol L. Folt made it clear she was committed to not returning the statue to its location in McCorkle Place near Franklin Street. UNC faculty have overwhelmingly supported that position, and library administrators have asked that the statue not be placed in any University library, leaving few practical locations. In mid-January, Folt announced her resignation simultaneously with an order that the statue’s pedestal be removed, which it was. 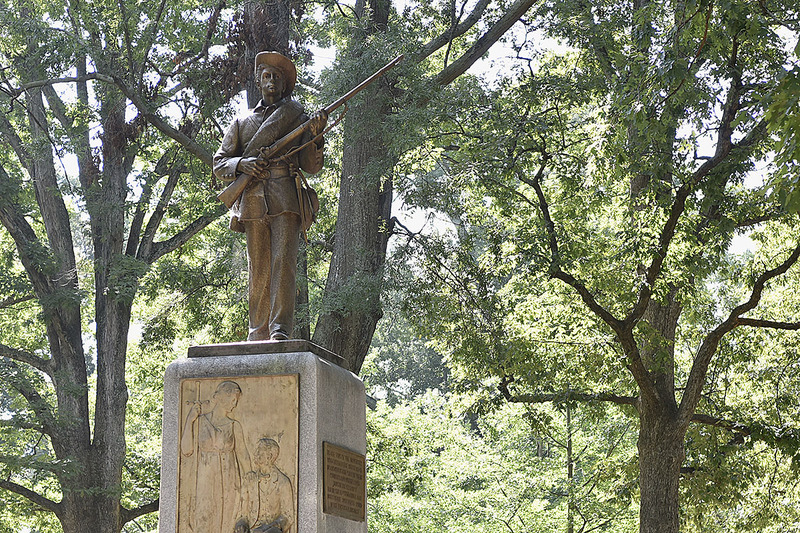 Kevin Guskiewicz, who became interim chancellor in early February, is on record suggesting that the statue be relocated to Bennett Place, a Civil War commemorative site in Durham. Dr. William Roper, who became interim president of the UNC System a few weeks earlier, said that position was a factor in his choice for interim.